I had a wonderful day at Western Plains zoo in Dubbo. 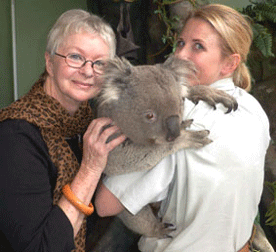 I met Norman, a very handsome 10kg koala with Kristy at the Educational Centre. It was great to cuddle up to him. You can book a special school time to be face-to-face with the animals at the centre. 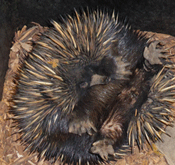 It is amazing to see the echidna “spread out” on its back. Do the spiky quills hurt? When I got close to take a photograph, he rolled up into a ball. Are you brave enough to sleep in a tent at the zoo? It’s great fun listening to all the animal noises in the night.